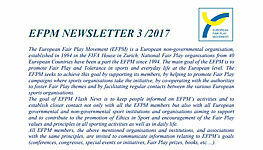 The 24th European Fair Play Congress and EFPM General Assembly date has changed! 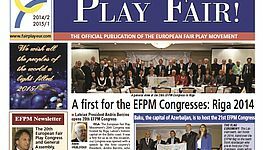 We informed you previously that the 24th European Fair Play Congress and the General Assembly of the European Fair Play Movement will take place in Brussels the 21th and the 22th of November. Unfortunately, following a calendar problem, we have to change these dates. 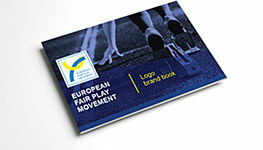 and the EFPM General Assembly on Friday 23rd November (Belgian Olympic National Committee). The invitation for the Congress with detailed information for registration is available on the Congress website http://www.panathlon.be/congress-ag-efpm/.